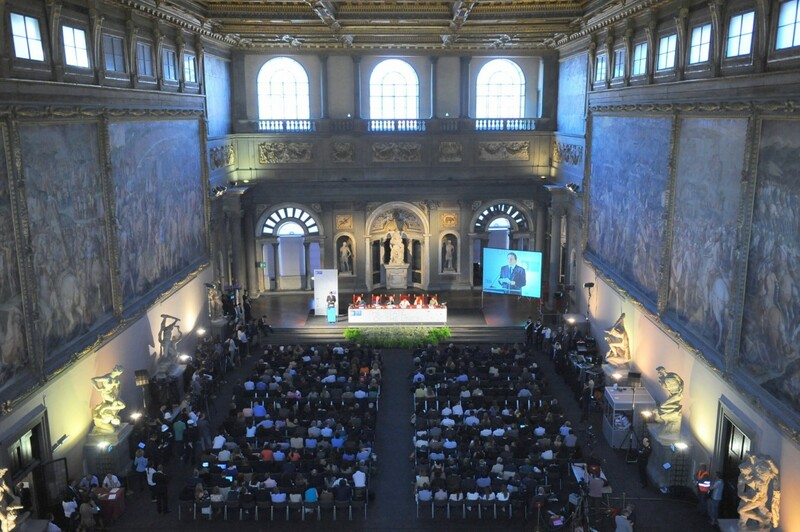 Immigration and citizenship were core topics of The State of the Union 2013 conference that took place in Florence on May 9th, the Day of Europe (http://stateoftheunion.eui.eu/). Please click on the below links to access the outlines of the four sessions dedicated to the topic. Philippe Fargues reminded that immigrants brought a critical contribution to the economic and social fabric of EU Member States. Integrating large numbersof migrants, became a challenge but, with the passing of time a convergence occurred and migrants began to integrate. With the economic crisis, the dynamics of migration in the EU changed. Migrants became the most exposed to unemployment and social exclusion; immigration decreased and intra-EU mobility increased; protectionism and xenophobia amplified; several refugee crises occurred on the external borders of Europe producing asylum seekers who were mainly perceived as irregular migrants. These challenges preface Europe’s foreboding demographic recession whereby the EU will: witness a long-lasting inversion of population trends; its weight in the world will dwindle as it will lose 45 million citizens between now and 2050; by then there will be 50 million retired citizens dependent upon welfare; Europe’s capacity for innovation will decrease. In Philippe Fargues’ opinion, the only way for Europe to grow is through an increase in immigration in order for Europe to tackle its demographic and economic challenges. 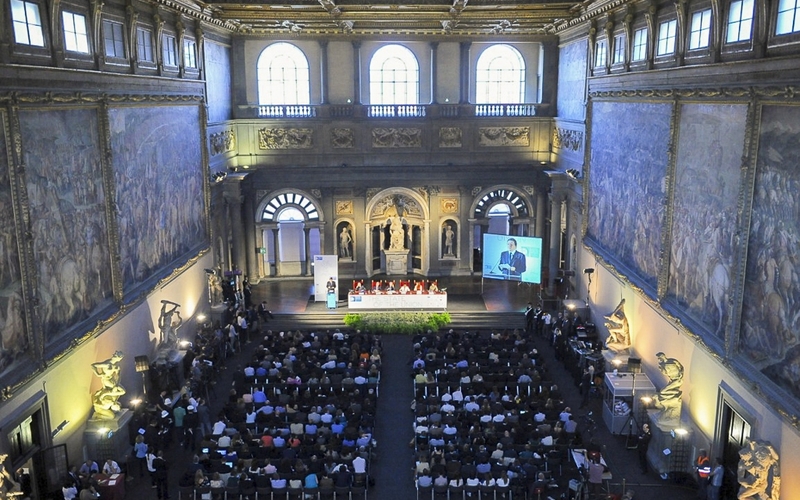 Cécile Kyenge (Italian minister for integration) giving Italy’s experience debating issues of citizenship for foreigners, noted that there would be a solution to the challenges of migration and citizenship throughout the EU only after a lengthy discussion of all different models of citizenship and criteria of integration. The focus should be on Europe as a whole as opposed to just one country. For Europe to become unified and peaceful without clashes, the countries need to discuss social cohesion and debate ways of living together. Citing her own experience of being attacked and insulted due to her perceived otherness and the coordinated response from the Italian authorities and people, she recommended a similar response in Europe of reacting together against injustice towards migrants. Cecilia Malmström (European commissioner for Home Affairs), discussed ways to respond to the challenges of the economic crisis so that Europe could be prosperous and peaceful. An open Europe with a well-managed migration policy is a stronger Europe. There is a need to stimulate economic growth and labour participation; the retirement age should be extended; educational reforms implemented; youth unemployment solved; the skills of migrants need to be better used as migrants are an untapped source of skills (including asylum seekers who may be highly-skilled). There are positive efforts for a common European immigration policy, including the Blue Card and prospects for increased openings to seasonal workers and students. But in an environment of increasingly racist, populist, and xenophobic sentiments in the EU, it has been difficult to find the political will necessary to improve migration. However, Europe should not become more closed, it should become more open and therefore more attractive in order to address the challenges of the future. The EU should reform its admission and visa polices; work with employers and companies; reach out to countries of origin to find the best solutions. Politicians, business leaders, and the media should all be involved in the effort. Anna Terrón Cusí (special adviser to EU Commissioner Cecilia Malmström on migration and mobility issues) stated that in order to have a competitive economy in an increasingly globalized world, Europe will have to become open to mobility of migrants between Member States. She noted that although there are some elements of a common EU migration policy – such as the directive on long-term residence and the Blue Card for highly skilled migrants – the advancement of such a policy has been blocked by national rhetoric. There is a protectionism of national systems and welfare states. Migration policy needs to be discussed by Europe as a whole in terms of improving security, health, trade, and economy. Giuliano Amato (former Prime Minister of Italy and Emeritus Professor at the Law Department of EUI) stated that Europe should be a Europe of hope, not a Europe of fear. In order to do so, it would need to improve the relationships between the EU and countries of origin to promote growth, prosperity and security. It should also differentiate migrants and asylum seekers from criminals, because the more they are viewed as illegal separate minorities, the more difficult it will be to define the actual criminals. Why are we demanding migrants with increasing unemployment in the majority of European Member States? Göran Hultin: In the recession migrants continued to supply part of the skills composition demanded by Europe-based employers. Companies require employees across the skills spectrum from around the world. Shortages translate to forfeiting economic opportunities. Studies highlight skills shortages were 40% in pre-recession and 25% in post-recession. Shortages were specially found in mid-level skills e.g. engineers and technicians. What demographic outlook do we have in Europe in comparison to the rest of the world? Rainer Munz: In previous centuries Europe had a demographic advantage over the rest of the world, which is no longer the case. Hence, Europe needs first to deal with short-term internal issues: language barriers, skills recognition, avoiding brain waste. In the medium term, smart and efficient EU-wide migration policies will have to be put in place. Changes to educational systems are required i.e. upskilling older labour force members in he long term. The EU should not become a new Japan that was the first country to deal with these demographic issues. What economic policy strategies should we follow for migration and the labour market? Louka Katseli: Smart migration policies cannot be implemented without being embedded into a longer-term pro-growth agenda. Present day Europe should not be complacent about its present situation, whilst understanding current policies are a reflection of underlying social and economic policies. Migration policies face ideological confrontations between national consolidation and high productivity policies. The EU cannot continue with its current policies that do not favour either. Migrant management and integration should be part of a wider EU strategy. The EU has diverse economies. Is it plausible to have a EU-wide migration policy? Cecilia Malmström: the biggest deficit in the EU is political leadership. We need a migration approach that is comprehensive, but not a systematic policy. Migration issues need to be discussed into wider crisis discourse. This is for instance the case of inter-corporate transfers. Interior Ministers remain focused on security which affects not only labour migration but also tourists visas. This adds to the problem of the EU lagging behind in the race for global skills competition, whilst exacerbating illegal migration patterns. Political parties across Europe need to work together to resolve these problems. Rosen Plevneliev, Prime Minister of Bulgaria underlined that life-long learning can respond to problems arising from an ageing workforce and gave the example of Germany which has the best life-long learning education system in the world. All workers have educational opportunities to further their skillset which has produced an adaptive middle class. Also, Europe critically needs significant increases in the levels of innovation. The session primarily centred on the role of Islam in Europe and the level of integration of European Muslims. Ruud Koopmans from the Social Science Research Center Berlin (WZB) started the discussion by highlighting that the biggest areas of divergence in Europe today lies in how Member States deal with cultural difference. He predicted that Europe will not see policy convergence in that area in the future, due to diverse national traditions and different solutions adopted for addressing and accommodating religious minorities. He pointed out that the definition of secularism, and in particular, the separation of Church and State varies, leading to the relegation of religious symbols to the private domain as in France or state sponsorship of all religions as in the Netherlands. He asked the question of the extent to which universal notions of human rights can provide guidance for dealing with the thorny issue of religious accommodation and concluded that each Member State will have to draw its own boundary of religious accommodation, whether it is protecting the “Christian skyline” in the Swiss countryside or treating all religions equally. Olivier Roy from the RSCAS (EUI) argued that we need to move away from debating Islam through the lens of immigration, given that Muslims are born and raised in Europe. Fundamentalism is not a traditional way of being a Muslim, but rather a re-constructed Islam of the second generation that despises the Islam of their parents. Second-generation women have reinvented the symbol of the hijab that is compatible with entry into the labour market. Movements that seek to emphasise the Christian heritage of Europe, such as the Front National in France and the Lega Nord in Italy do not actually actively practice Christianity, very few of whose followers regularly go to church. Europe needs to make room for Islam as a religion and not as culture. Tariq Ramadan from St. Anthony´s College (Oxford) stated that migration will not stop because Europe needs immigrants. Islam is not a foreign religion but European, with French, German, British etc. versions. European Muslims are becoming more visible, more ´mainstream´, which gives the false impression that they are creating new communities. Europe suffers from an ideological crisis, since it mistrusts its Muslim citizens and “islamises” socio-economic problems. Integration is working, the majority of European Muslims are integrated and the three L´s of look, language and loyalty have been accomplished on the ground. The negative, exclusionary narrative in Europe needs to change, the problem being a narrow conceptualisation of nation and not of the state. Anna Terrón Cusí, managing partner at InStrategies, made the point that for integration to work, migration policies need to respect family rights. She gave the example of female migrants from Latin America to Spain, many of whom are required to migrate alone, leaving their children behind, which harms the social integration of their children further down the line. Integration must also take into account political participation and access to nationality. The debate focused on the perceived level of integration of European Muslims. Ruud Koopmans challenged Tariq Ramadan´s assertion that the Muslim community is well integrated. Evidence from the Netherlands showed that second generation Muslims are poorly integrated and have extremely low intermarriage rates with Christians. 75% of Muslims believe that the Koran is more important than national laws, versus 15% of Christians who believe the same about the Bible, making the point that there is a significant ideological and philosophical cleavage between the two groups regarding the role of religion in state and society. Ramadan responded that we cannot make intermarriage the litmus test of integration, as many minority communities, among them the Jewish community, would fail the test of integration if this yardstick was applied. He called for a reassessment of our definition of sharia law, which in his view should not necessarily be seen as opposed to the rule of law. Europe should look at facts and figures rather than being “obsessed” with symbols such as the hijab. The speakers generally agreed that the EU citizenship project has not met the expectations. Among many shortcomings, the emphasis was put on the lacking EU-wide polity and EU-wide identification. There is an urgent need to bring Europe and its achievements closer to its citizens. This can be achieved by changing the core philosophy which associated EU citizenship only with rights and not obligations. By underlining the right to move, EU has created a category of “super migrants workers” rather than involved citizens. According to Eurostat only 2.5% of EU nationals engage in mobility. This number however underestimates the phenomenon, as the European mobility is more and more fluid and circular. EU nationals are not always required to register or choose not to register at destination. Mobile EU citizens are either those belonging to elites and those at the very bottom of society (e.g. vulnerable communities like some Roma groups). The mobile elites have distinctive EU identification, as they benefit from mobility both financially and politically, while vulnerable groups have ambiguous attitude versus an intangible idea of Europe, focusing on daily survival. The middle strata of society rarely moves and they are less exposed to the European idea. As long as EU citizenship will be presented as solely a mobility issue, they will not buy in. Freedom of movement is currently the most controversial political freedom in the EU. It is contested by Euro-sceptics and anti-immigration parties in several Member States. It is on the one hand a problem of a lack of solidarity between European societies which perceive other EU nationals as a threat in times of crisis. It is also related to persisting economic disparities between the Member States, which have become especially acute during the policies of austerity. On the other hand, the EU-level rules ignore the important issue of integration of EU citizens in their new host communities. Moreover, Member States build glass ceilings through their national regulations to movement in the fields of their competences, e.g. by regulating access to education in a strict way. There is a need to change rules for the access to EU citizenship: more ius soli and more harmonized approach would change the dynamics in this field. Such change would eliminate unwanted consequences of the current set up (e.g. easy access to EU nationality for diasporas, with no bonds to Europe while people born and raised in Europe are not considered European enough). This is important as only national citizenship gives full political rights and allows full inclusion. 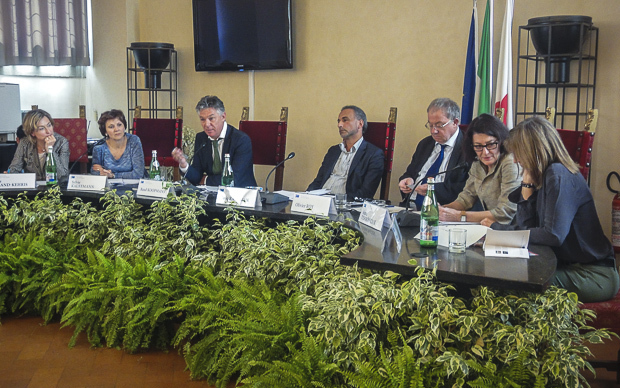 The speakers also debated the ways of improving the current situation of freedom of movement. All agreed that in the situation of crisis this right is misused by populist parties. The only way to stop radicalisation on this right is to improve economic condition and thus all speakers pledged for more Europe, deep reforms and political union. Such a political union would create the bonds so much needed to make EU citizenship a reality. For further information, you can consult “State of the Union 2013: Collected Perspectives”, a book a that brings together some of the keynote lectures, speeches, and papers presented at the 2013 State of Union conference.